oldest network of Hostels in the world. 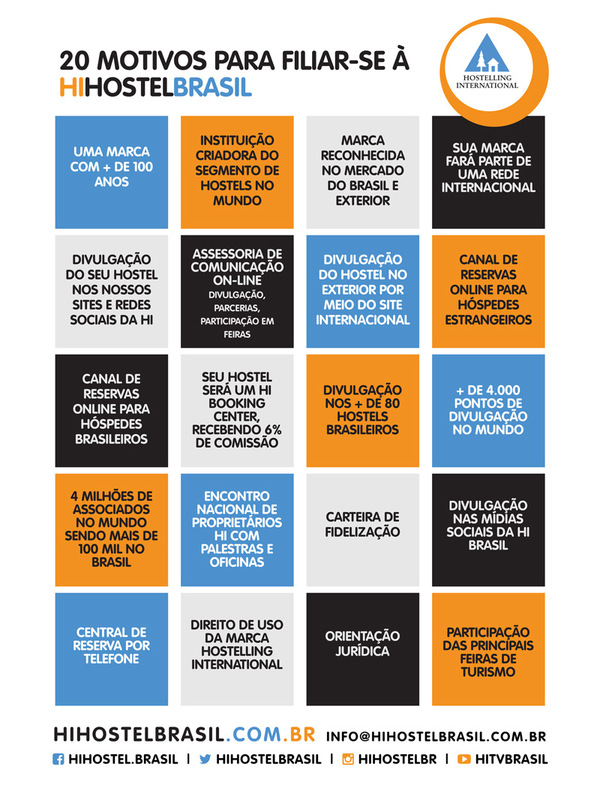 HI currently has more than 60 hostels in Brazil and more than 3,800 in the world. There are more than 4 million members worldwide. All these faithful associates may be your future guests! Hostel is the international name of youth hostel. Most of the Hostels have private and collective rooms, living area and kitchen open for guest use. The Hostel is a practical, fun and safe way to stay around the world. Each facility retains its peculiarities and charm, reflecting the culture of each region, which makes the trips even more interesting and unforgettable. If you are interested in becoming part of our network, please contact us!